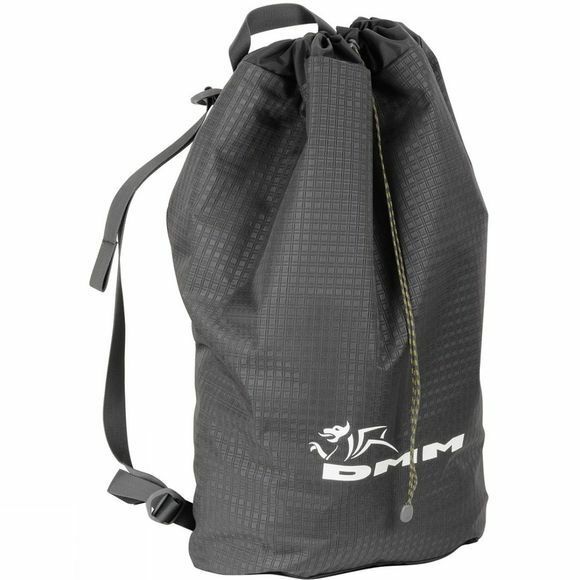 A lightweight, packable rope bag with minimalist construction so there's nothting to snag, the Pitcher has an ingenious tarp design that allows it to be used as a bucket for abseiling or on narrow stances to keep things tidy, as well as a conventional rope bag. Open the drawstring top and clip into the reinforced haul loop to use as a bucket, or stack your ropes onto the four-loop tarp, pick up the corners and slide the whole thing neatly into the bag. The 30 litre capacity gives plenty of room for a big single or two 60m half ropes, as well as your rack and stickies. 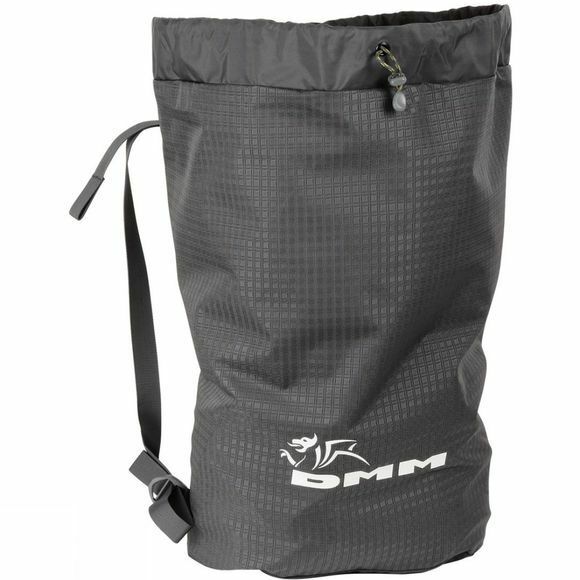 Great for shifting things around between routes at the crag, for nipping out to the wall or, thanks to the simple design and removable shoulder straps, as a stuffsack for your rope in a bigger cragging pack.